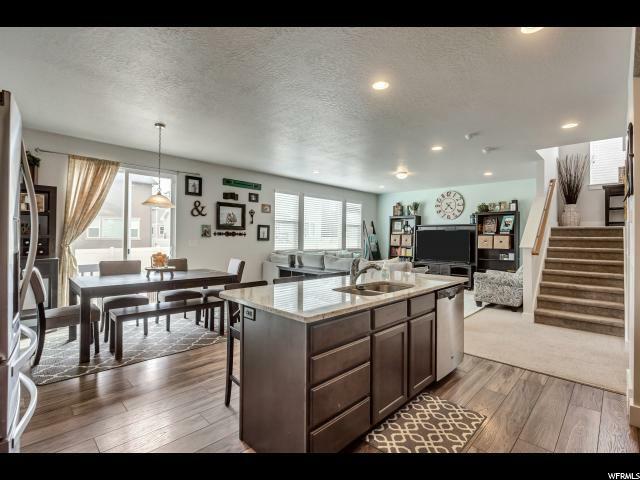 Stunning 2-story home nestled in the heart of Herriman Town Center. 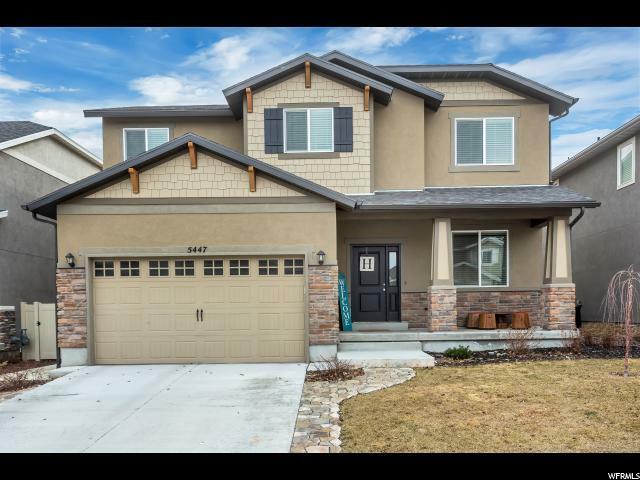 Highly desirable Cordova floor plan offers open spaces, ideal for entertaining. 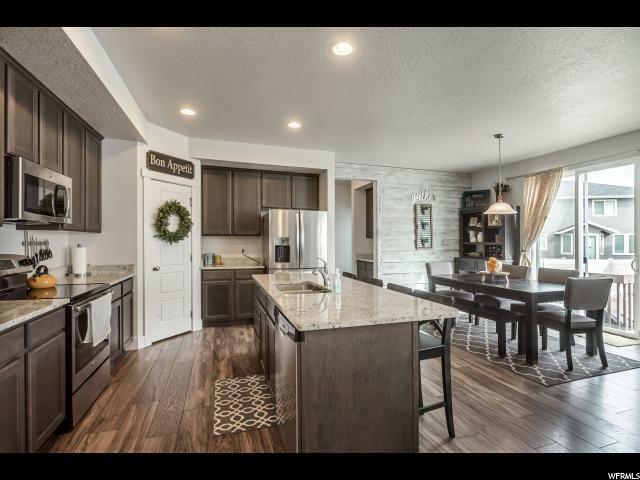 Massive kitchen boasts granite counters. 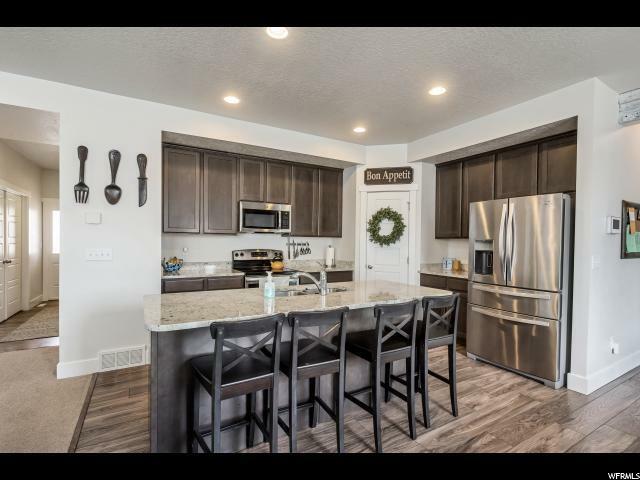 stained alder cabinets, and stainless steel appliances. Master retreat offers vaulted ceilings, en suite bathroom, and enormous flex space. Perfect for a sitting room, exercise room, or even nursery. Downstairs is fully finished and comes equipped with a full salon (seller willing to remove upon buyer's request). Lots of custom touches that make this house a home; including plank wood paneling in the dining room, sitting bench with built-in cubbies, and concrete patio bookended with custom planter boxes in the backyard. Located just minutes from endless shopping and dining options, including the new Mountain View Village mall. Don't miss your chance to make this beautiful home yours today!